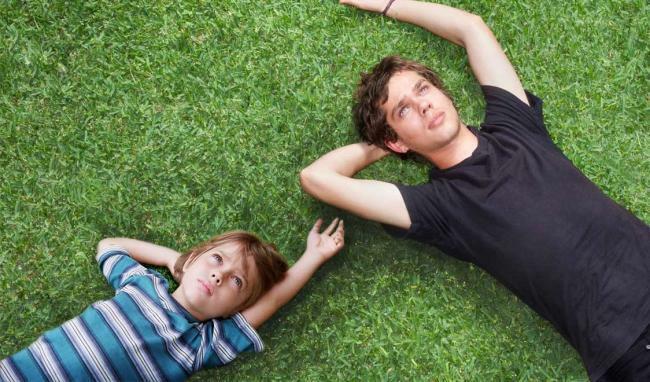 Have you seen the movie Boyhood? It’s fantastic storytelling about choices and consequences. And it’s quality movie production on a mere $4 million budget. Of the 6,000 people who get to vote 70 percent are males with an average age of 63-years-old. So, would the majority of white old-males in the film industry vote for a movie where men in father roles are depicted as traditional, irresponsible, drunk, drugged, repressive, angry, and abusive? And where – despite all that – the heroine gets her kids through school and into college whilst getting a degree and becoming a professor? No, of course not! I am not saying that these male voters are like Mason’s rockabilly dad or alcoholic step-dads, but surely there must be some unconscious loyalty or gender proximity happening here. Let’s face it, there is at least a varying degree willful blindness in most of us, even if we want to change and try really hard. Hence, in the words of Ron Heifetz, the “issue isn’t ripe enough yet” and having awarded Boyhood with an Oscar would have caused too much controversy at dinner tables in Hollywood – about their own lives, choices and world views. Instead, academy members voted the third movie about the movie industry itself in six years. Introspection paired with self-aggrandising – a common phenomenon in corporate systems, right? So, what’s the insight for change leaders here? A system needs to be ready for change, and the issue needs to be ripe enough. Patricia Arquette’s statement about equal pay and women’s rights was powerful and timely, and Meryl Streep’s ecstatic reaction almost seemed to be a relief: “Yes, I am not a lone nut anymore”. It also helped millions of secret/shy advocates to come forward and say: “I always said that.” However, it also faced the expected back clash by people who don’t want equal rights, because it would destroy their whole life concept and self-image. Dare I assume they are (unfortunately) still in majority? Change leaders in organisations large or small, commercial or political, ask yourself these questions: once you got enough Meryl Streep’s on board to create noise, who are the Stacy Dash’s, Greg Gutfield’s and vocal Twitteratis you need to identify, convince and turn into advocates of your agenda? Most of them are actually crying for help, but disguise this in anger. You must re-frame the issue for them, and once they feel there is something in it for them, they become your change catalysts. You need a few reformed opponents to create the tipping point, and then you win. Who were the first white males Martin Luther King got on board?